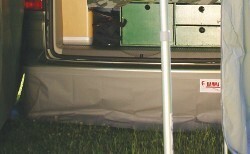 New Innovative Fiamma awning suitable for VW T5 with rear tailgate door. Quick to install rear door cover to fit Volkswagen Transporter T5 and T6 vans. 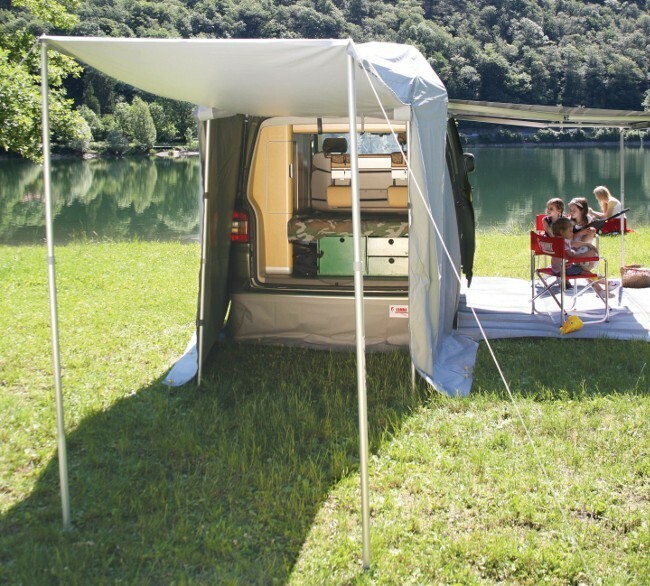 Fiamma Rear Door Cover makes an enclosure over the rear doors which is ideal as a changing room for water sports, toilet tent at events and shows or kitchen shelter for day vans with rear kitchen. Quick installation both on standard rear doors and on rear doors with the carry bike installed (without bikes). The Fiamma Rear Door Cover VW T5 fits to vans with single lift up tailgate as well as double rear doors and fits to the T5 using the elasticated side belts. 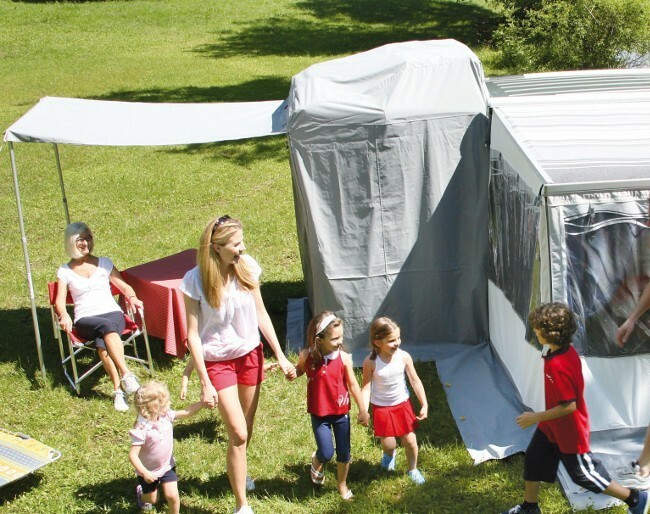 The front door can be rolled up and comes with mosquito screen. 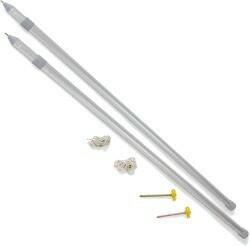 It is possible to purchase Fiamma Kit Poles, which make it possible to convert the door into a sun canopy. 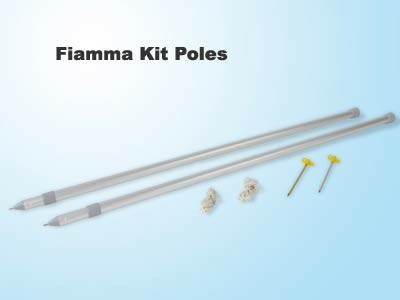 Fiamma Kit Poles include two spiked aluminium poles with guylines and pegs. 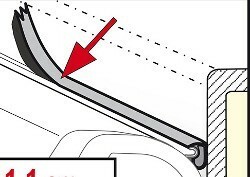 Also available, Rear Skirting VW T5 to prevent drafts and block off the underside of the VW T5 camper van. Dimensions from rear: 140 (W) x 144 (D) x 212 (H) cm. Suitable for Volkswagon VW T5 vans with tailgate. kit of tension elastic ropes and pegs supplied.